A new arcade-style game is now available for all avid old school gamers at Roxy Palace Casino. The highly addictive Max Damage and the Alien Attack takes you back to the time of traditional arcades. 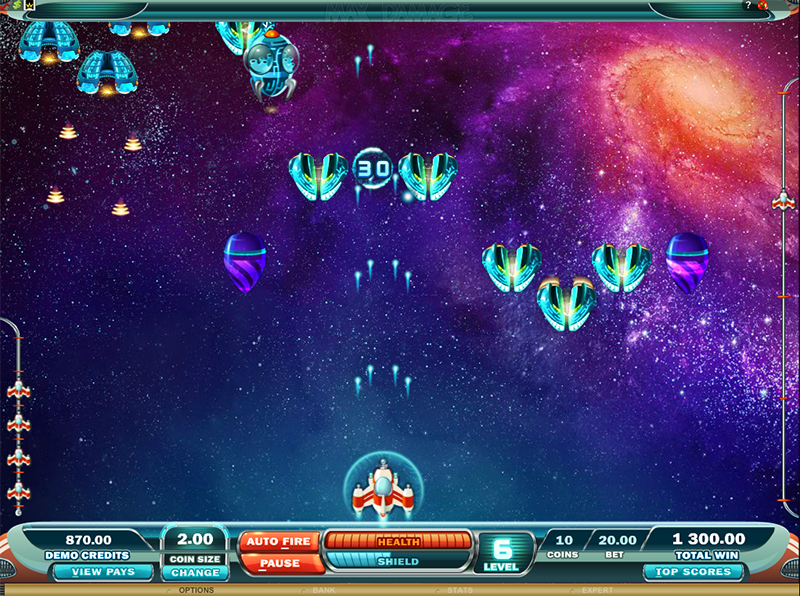 The aim of the game is to shoot down attacking spaceships with the help of Shields and Health Boosters. Each player is provided with six lives that they have to guard to the best of their ability in order to fight through all nine levels of the game and secure a coveted place on the Top Scores Leaderboard. 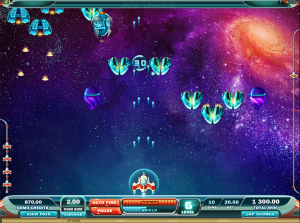 Gamers progress through levels by eliminating all attacking ships, with each ship representing a different prize value determined by the pay table. Some levels will provide you extra ammunition while others will attract with freebies such as free rounds and enemy ships with higher bonus value. Roxy Palace Casino’s high quality graphics, animation and sound will provide an unparalleled playing experience in the comfort of your own home. The site even provides a free trial run to help you hone your skills before the real battle begins!